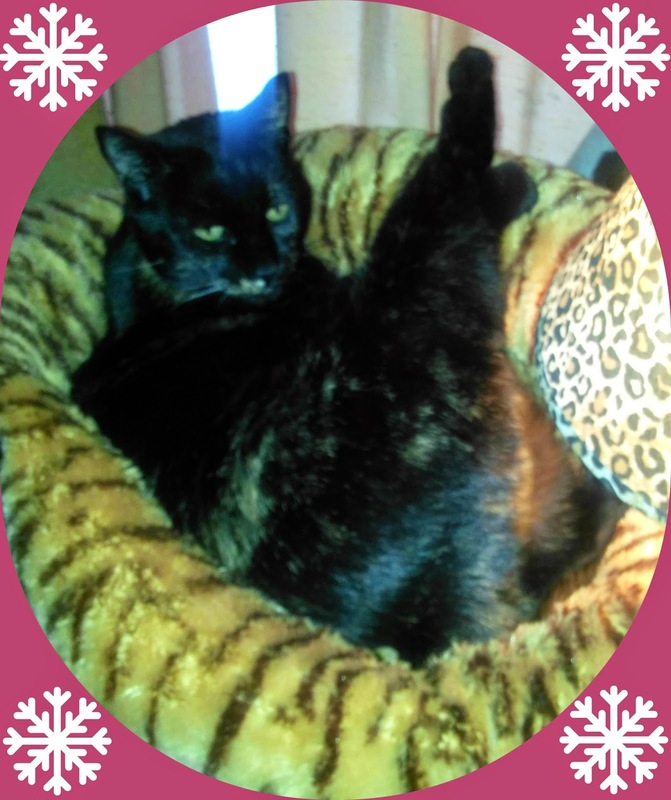 Mommy says that in this picture I look like I'm trying out for The Rockettes. What do you think? Do I have a chance? It's always customary at the end of the year to write "best of" posts, but instead of doing a Top 10 list of some sort I decided to post a review of my favorite book of 2014. I read this book back in September but never featured it here because I was unable to put into words how deeply it touched my heart. I've written and re-written the review and have finally gotten it to where I'm pretty happy with it. Just trust me and buy it. 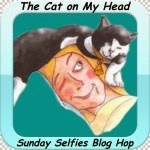 Blurb: Cats aren't a typical choice for animal-assisted psychotherapy, but Timmy and Marnia are anything but typical. Research has found that petting a cat can lower blood pressure and a cat's purr is thought to help heal body tissues and bones. But not just any cat can be a therapy cat, after all, such animals need to be friendly with strangers and willing to be touched, petted and held by unfamiliar people. They have to be tolerant ofloud voices and angry shouting, emotional distress, and sudden movements. 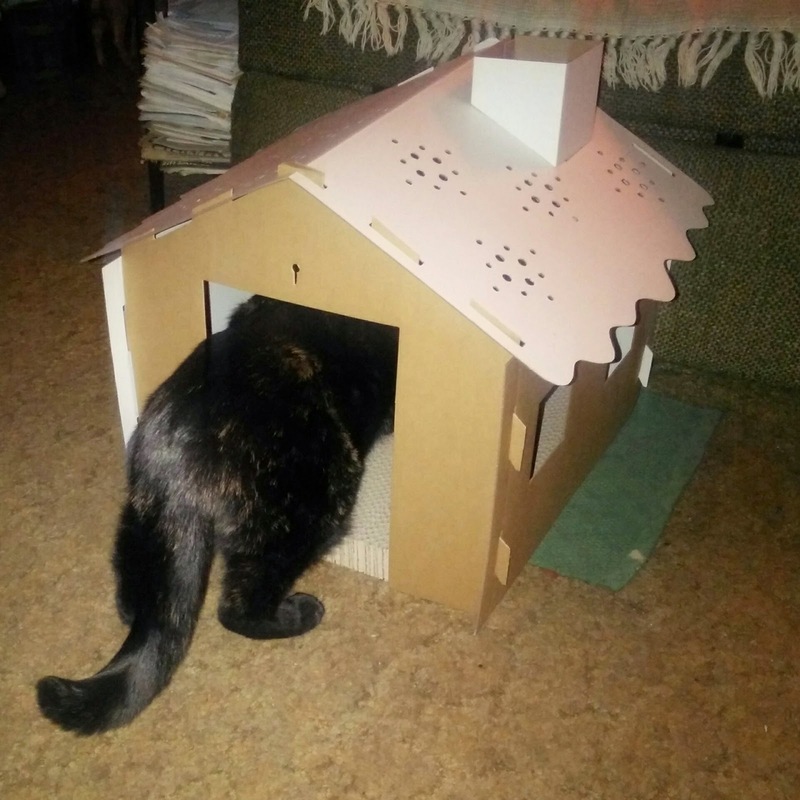 It's a tall order for any animal,but a particular challenge for a cat. 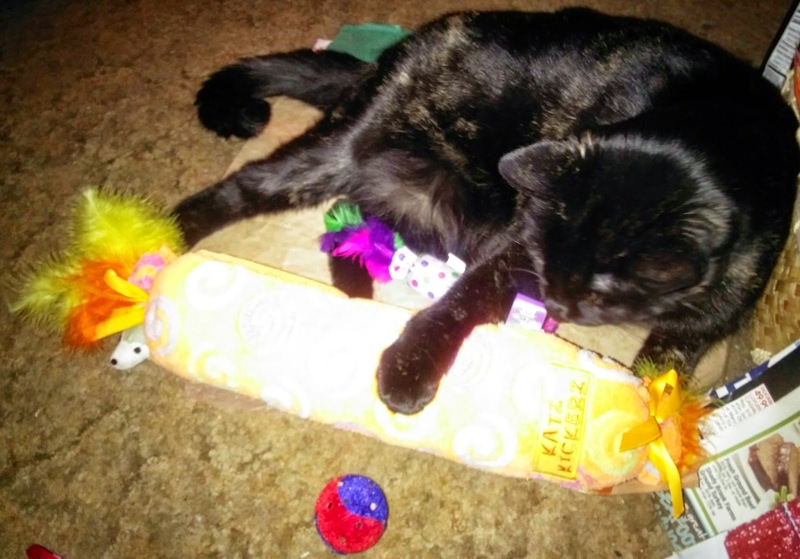 In Purr Therapy, psychotherapist and cat lover Dr. Kathleen McCoy shows how two very special cats rose to this challenge, how they helped wounded souls to heal and how they taught even her lessons in mindfulness, joyful living, and compassion. She also shows readers how animal-assisted psychotherapy works and gives them an intimate and moving inside look at how Timmy and Marina worked with patients, how their double role as animal companions and cotherapists changed lives, and how, after their untimely deaths, the grief shared by those who knew and loved them led to even more growth and healing. 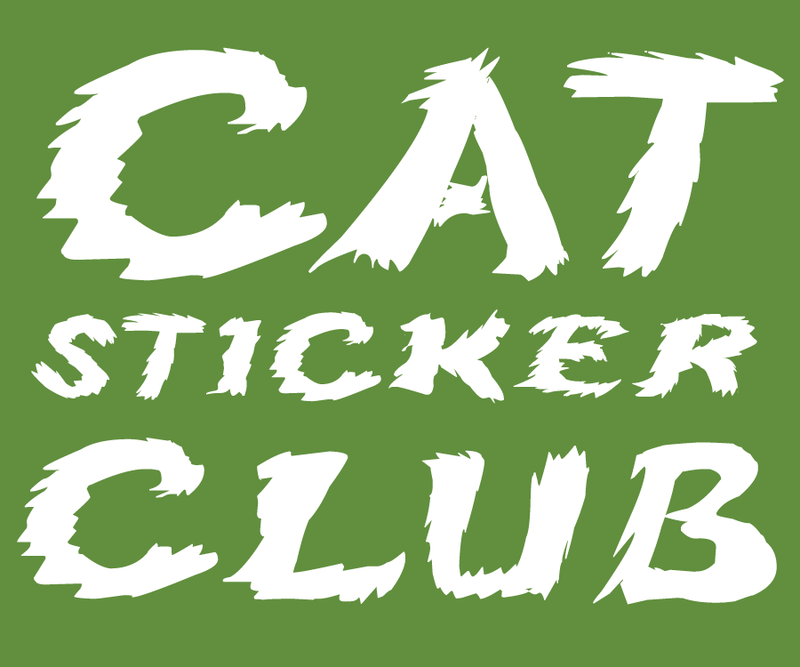 It's no surprise that there is a tidal wave of cat fanciers growing: even the internet prefers cats. No dog site has reached the proportions of the most popular cat sites—case in point: the mega-star Grumpy Cat who has over 2 ½ million followers! More than an internet trend, this very active market is exploding through cat video contests and festivals that are claiming the passions of millions who will benefit from—and love—Purr Therapy. I've never been a big believer in psychotherapy. I guess I've just never understood how talking to a complete stranger about your problems can make a difference. The warmth and comfort of a cat's fur, the sound of a meow or a purr, has always been the only therapy I have ever needed. One of the (many) cat signs I have hanging in my home even says, "I don't need therapy...I have a cat." This incredibly beautiful memoir is the story of Dr. Kathy McCoy and her husband Bob, and the seven special cats that have shared their lives. 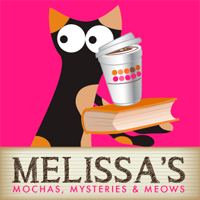 The focus is on Timmy, a Burmese and red-tabby mix, and Marina, a flame-point Siamese, angels sent to earth for a very short time who changed the lives of everyone they came into contact with through their work as accidental therapy cats. The parts of this book that resonated the most with me were the sections on pet loss and grief. 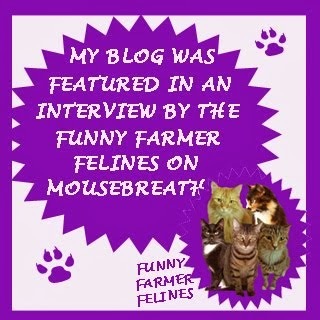 In the very beginning we meet McCoy’s 17 year old cat, Freddie, who is dying of cancer and kidney failure. 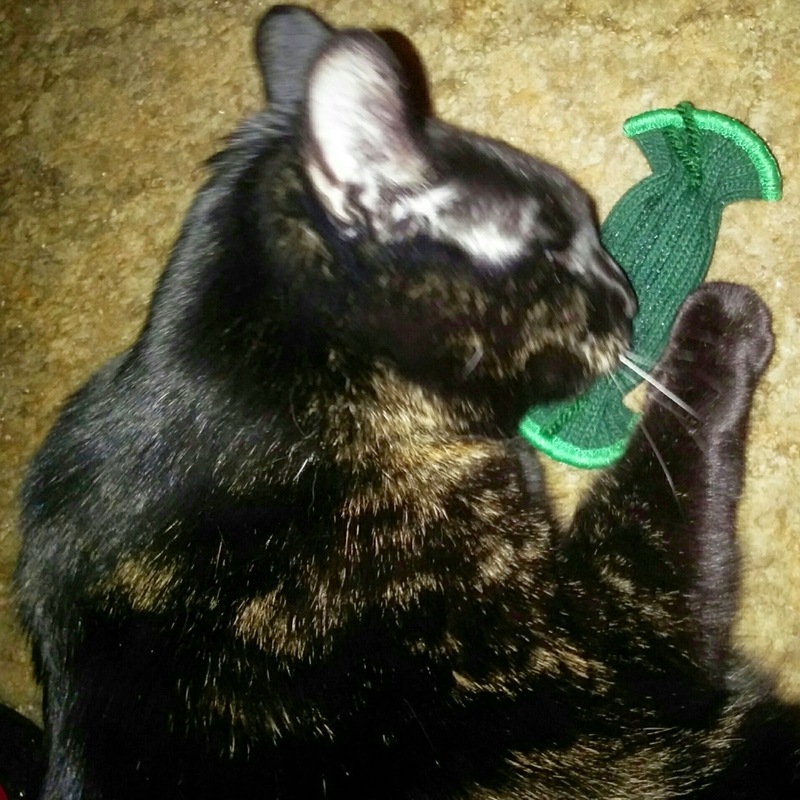 She later loses Timmy to tainted cat food, and Marina to feline leukemia. 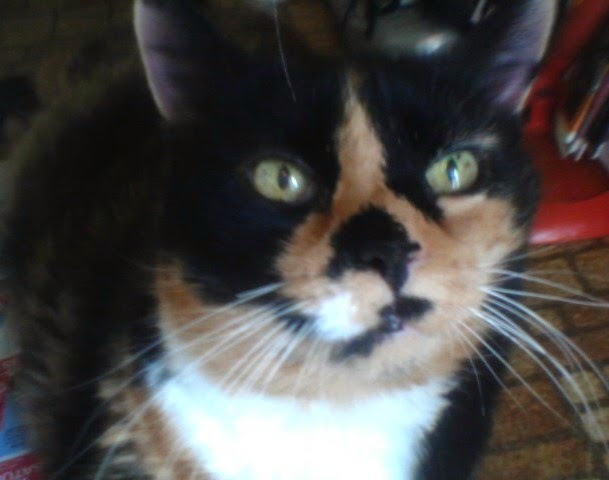 She explains that the death of a pet is every bit, if not more, devastating than the loss of a friend or family member, and it makes sense because they are our daily companions, whereas friends and family we might go months without seeing. Personally, I have experienced the death of grandparents, aunts, and uncles, and I am not at all ashamed to say that the deaths of my cats have affected me far deeper. 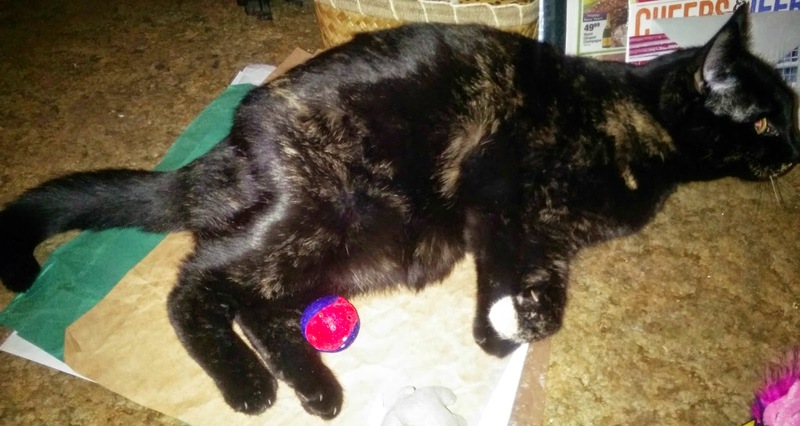 Her observations on when to know the right time to bring another pet into your life following a loss also struck a chord with me, since at times I have felt guilty adopting Truffles so soon after losing Tara. This latter part of the book had me crying my eyes out, but I also found it quite therapeutic, and will be re-reading it and recommending it to anyone who is grieving. I've found that I always have the hardest time writing reviews for books that touch me the deepest. I have this need to just shout, "BUY IT! READ IT!" Suffice it to say that this is one of the most meaningful, uplifting, heartwrenching cat memoirs that I have ever read. The story of Timmy and Marina touched my soul to it's core, and even though I never met them, I will never forget them and the amazing lives that they led, even though they were both lost tragically and well before their time. They are further proof that the brightest stars shine for the shortest time. Hey everybody, it's Truffles! I've been waiting for what seems like forever, but today I finally get to tell you about my Secret Paws! 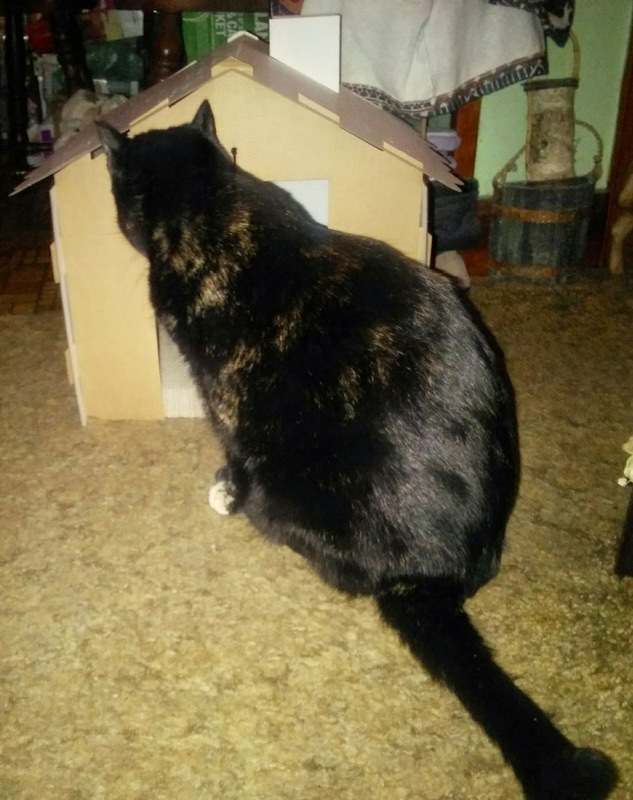 My package arrived in early December and Mommy said I had to wait until closer to Christmas to open it. Then my grandpa got sick so I ended up having to wait until Christmas day for my prezzies, but they were definitely worth the wait. 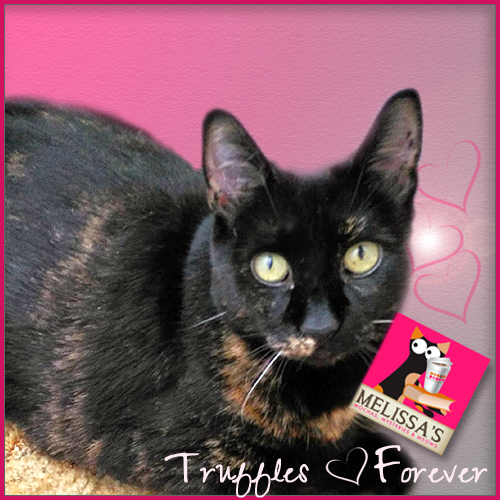 I would like to thank our wonderful Secret Paws for 2014, Julie and her kitties Bridget, Tinker, Chopin, and Anastasia of Our Church Cat Family, as well as Truffle and Brulee's mom Paula from Sweet Purrfections for organizing this wonderful event that makes many blogging kitties very, very happy. "Are these all for me?" "I want to lay among them." "I don't even know where to begin!" 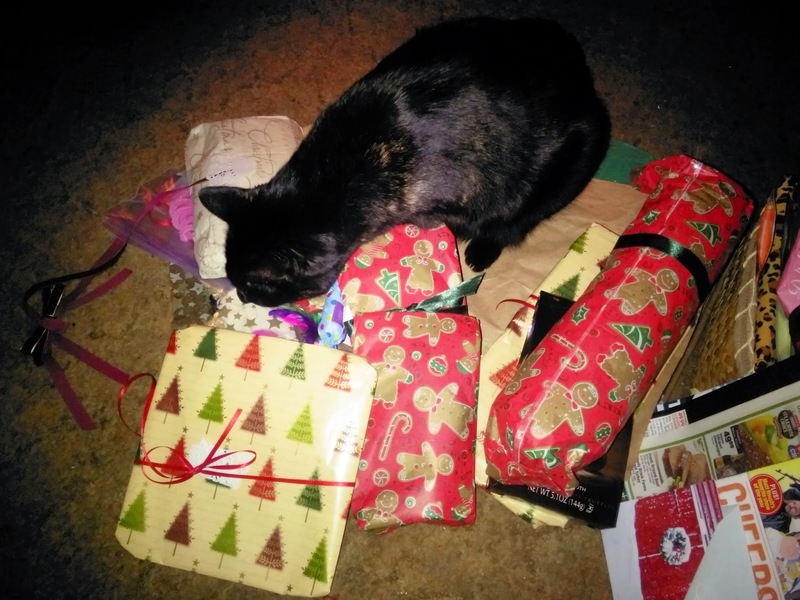 "Look at everything I got! 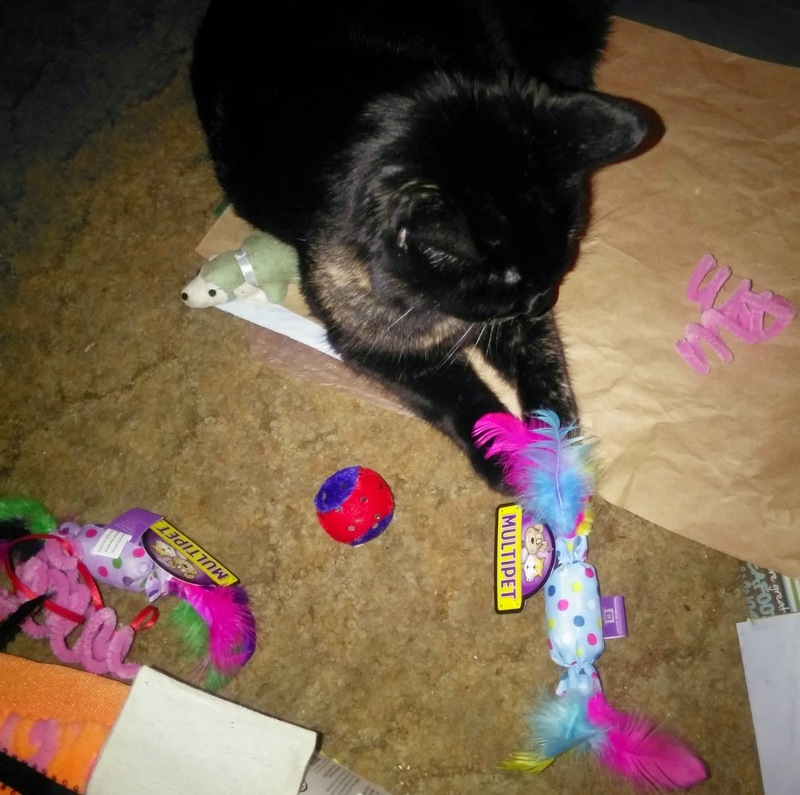 Balls, a catnip toy, super cool Nylabone interactive toys, pipe cleaners, a cute mousey, a Katz Kickerz, feathers, my favorite Temptations and Whisker Licken's treats!!!" 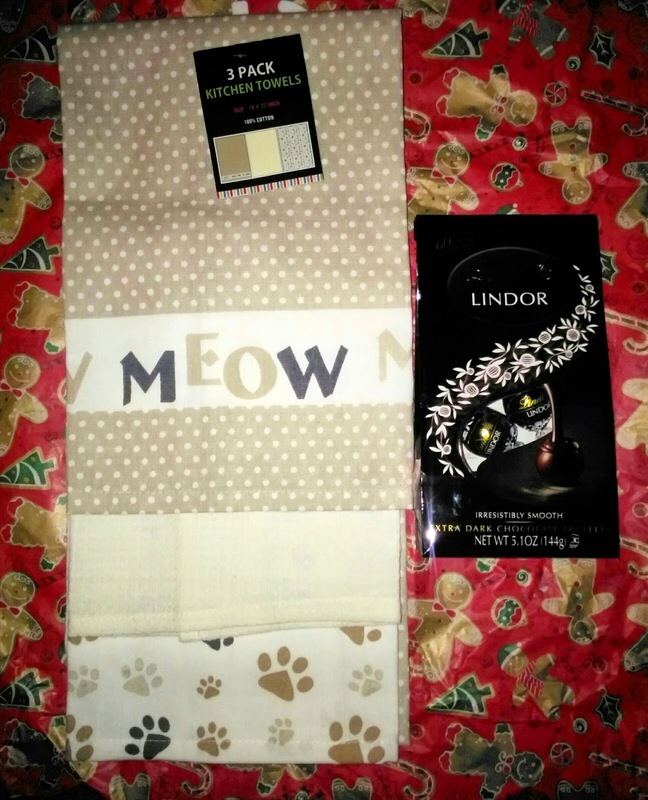 "Mommy got a set of adorable "meow" and paw print kitchen towels, and Lindt truffles (her favorites, besides me of course.)" "...and loads of primo nip!" "I love bunny kicking balls! (Have I mentioned how much I love balls???) On Friday morning Mommy had to take her Dad to a doctor's appointment, and she hated to leave me because I was having so much fun playing with my new balls!" 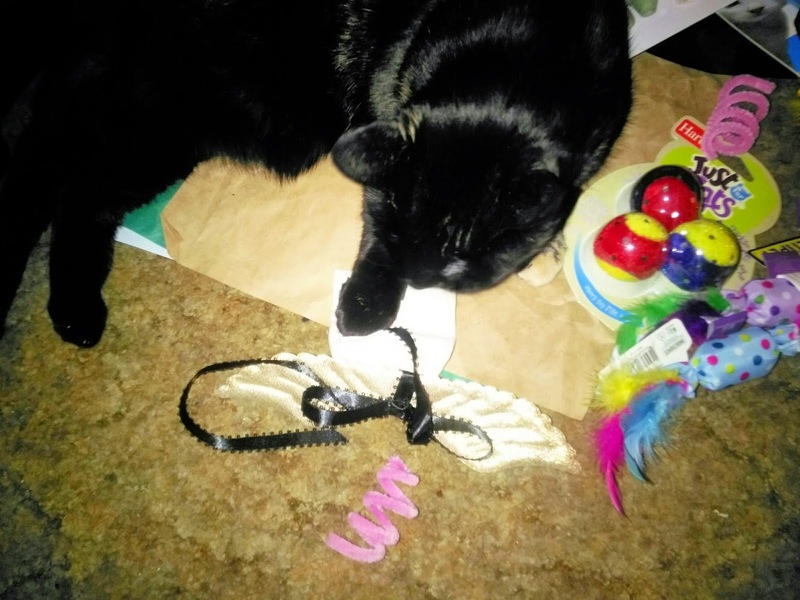 "Mommy, clip the tags off so I can play with these feathers! Oops...hope mousey is okay crushed underneath me." "This is the biggest Katz Kickerz I've ever seen! And such pretty colors, too." 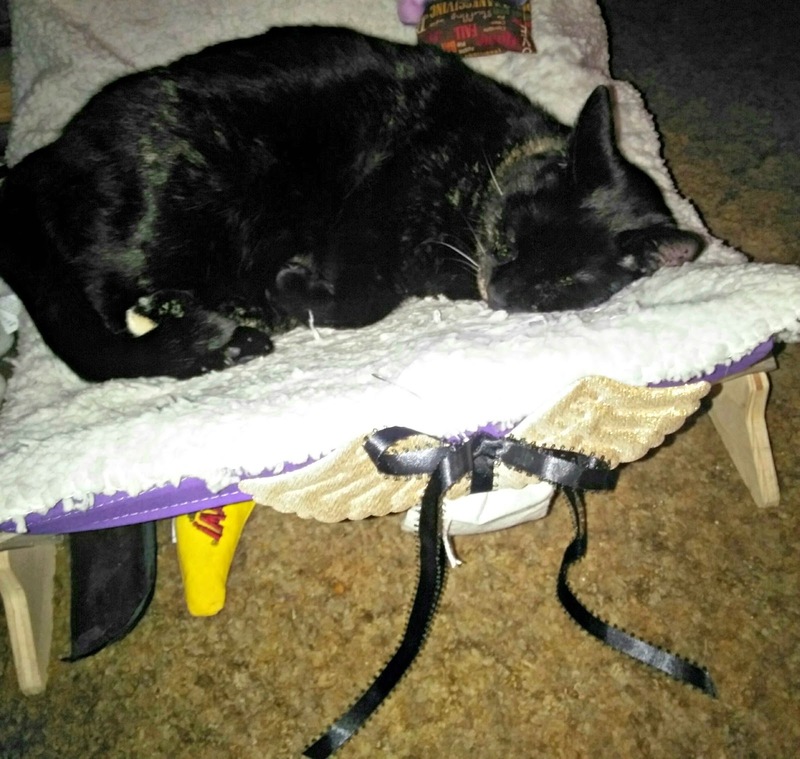 "After I finished playing and conked out in my lounger, Mommy took the catnip angel wings and hung them on my bed because I'm such a little angel. Isn't she silly?" 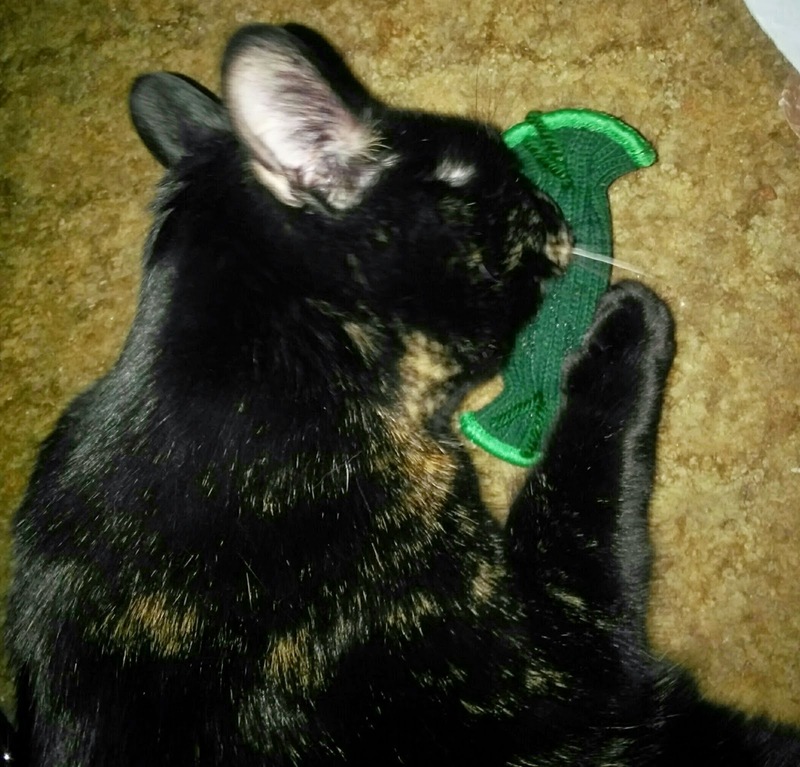 Mommy and I both want to thank Julie and her kitties so very much for their thoughtful, generous, and purr-fectly wonderful gifts. 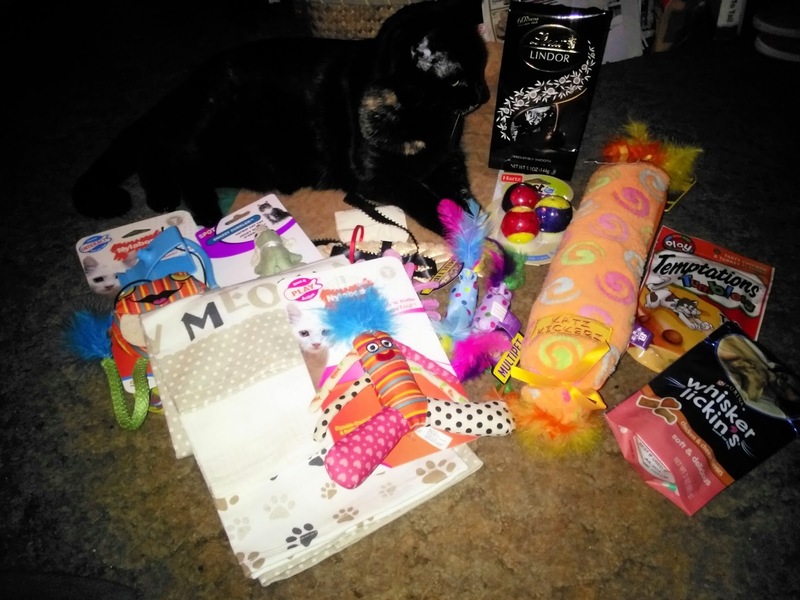 We couldn't have asked for a better Secret Paws! 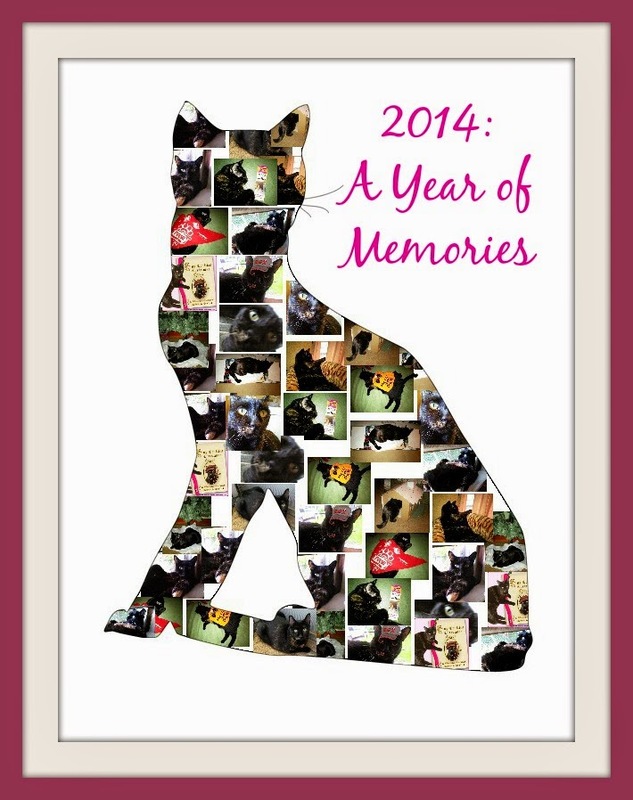 For our final Caturday Art project of 2014, we decided to make a collage using some of our favorite pictures of the year. The collage was created in Pho.to, and then we added the frame and text using PicMonkey. 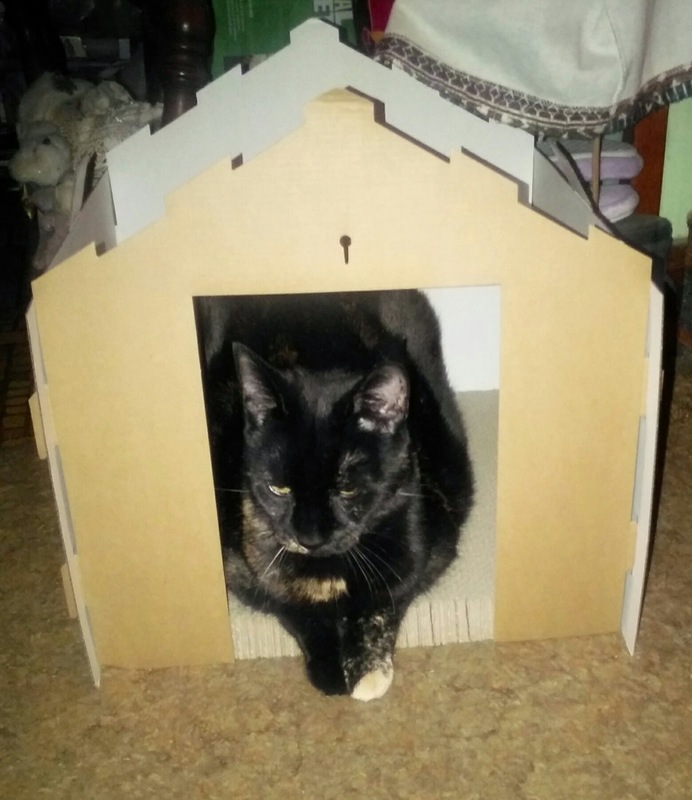 2014 was special because it was Truffles first full year here in her forever home, but family health issues has certainly made it an extremely stressful year that I will not be sorry to say good-bye to. I'd been wanting to get a Tickle Pickle for Truffles (they are made right here in Vermont!) 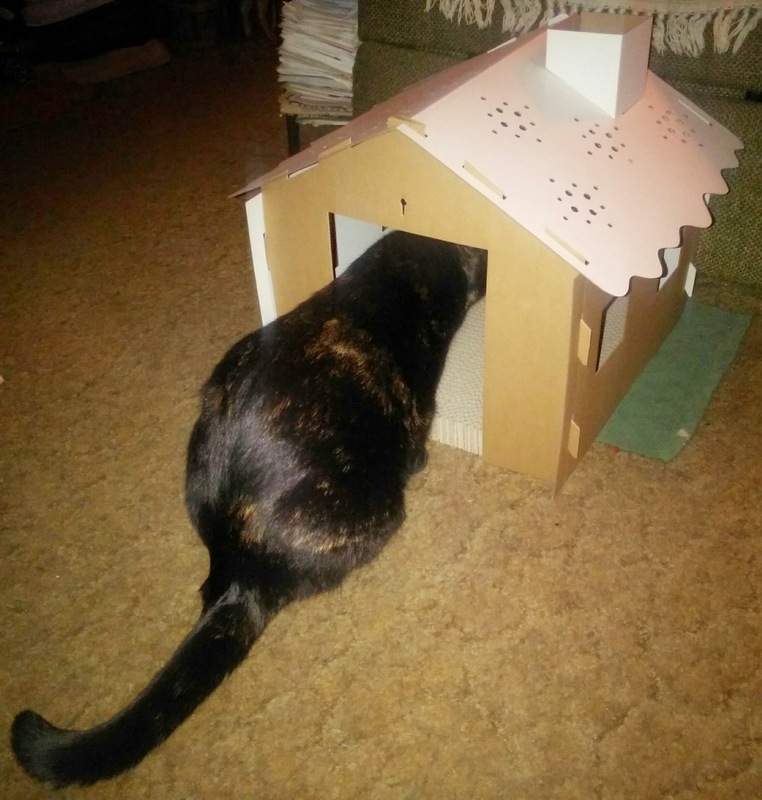 and this seemed like the perfect opportunity to get her one since sales were to benefit our local shelter. 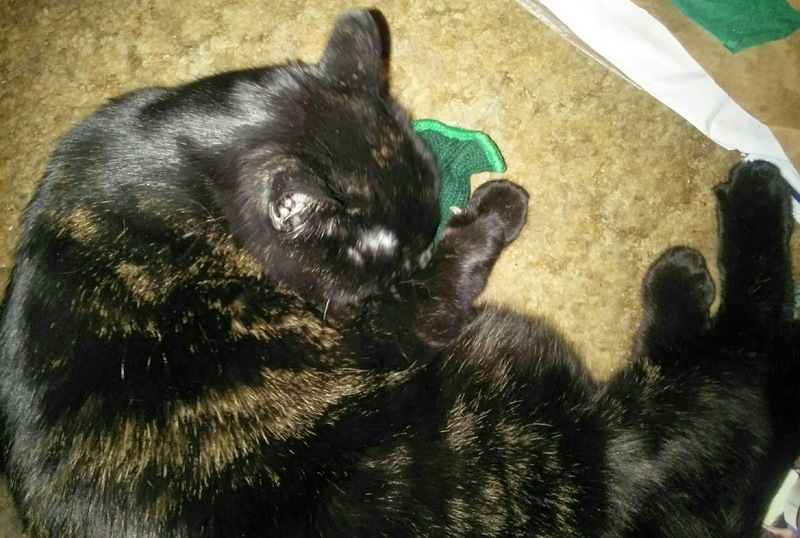 I also needed one more thing for our Secret Paws package, so that weekend I went shopping and purchased two special edition Tickle Gherkins. 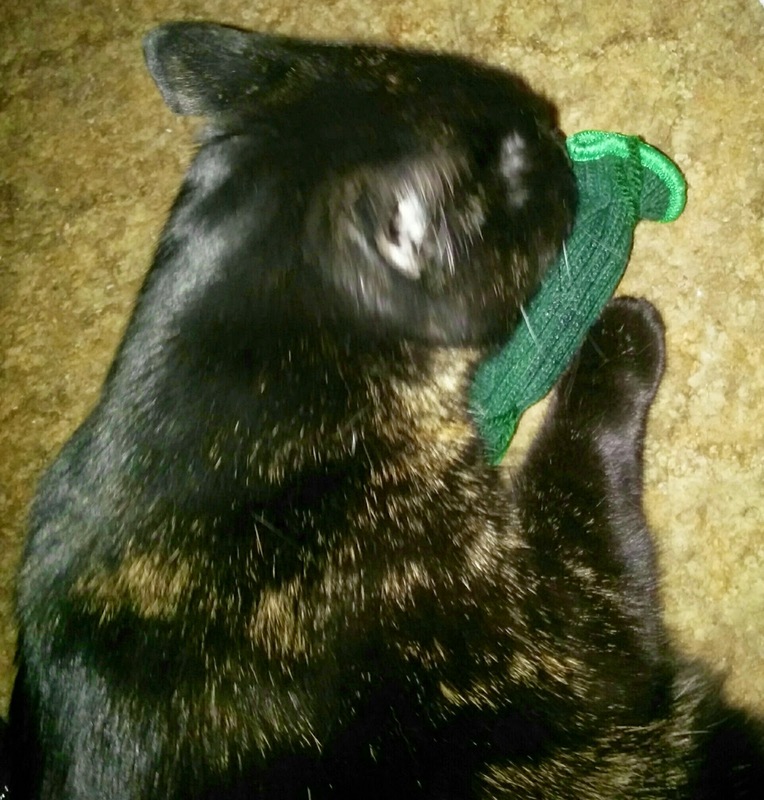 She absolutely loved her pickle, as you can see from the photos below, and as an added bonus over $500 was raised for the Humane Society of Chittenden County. 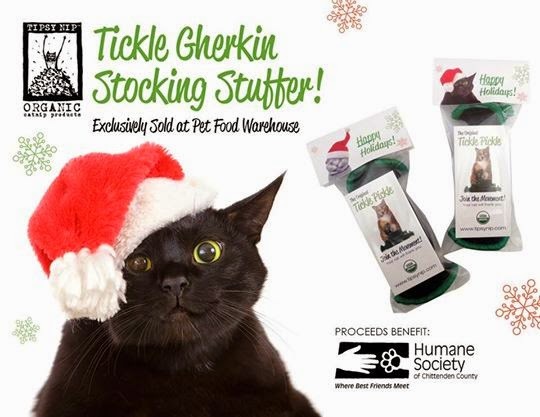 According to Tipsy Nip's Facebook page, when they dropped off the check they also brought some Tickle Pickles for the resident shelter cats. 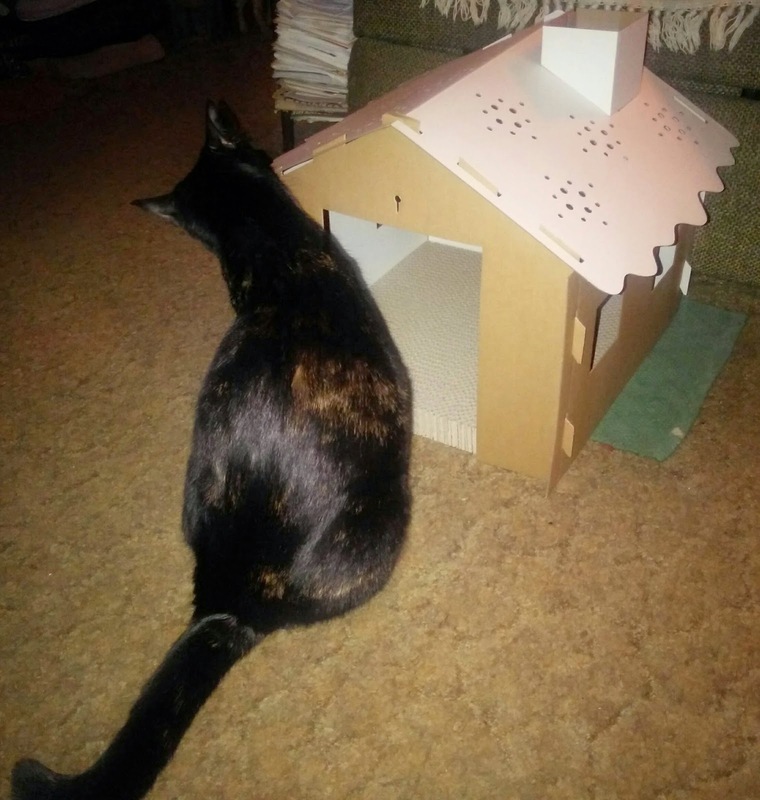 Sounds like they made many kitties very, very happy this Christmas. Don't you just love the thumb nail action??? Disclaimer: We have not been compensated in any way for this post, we're just blogging about Tipsy Nip because we love the product! 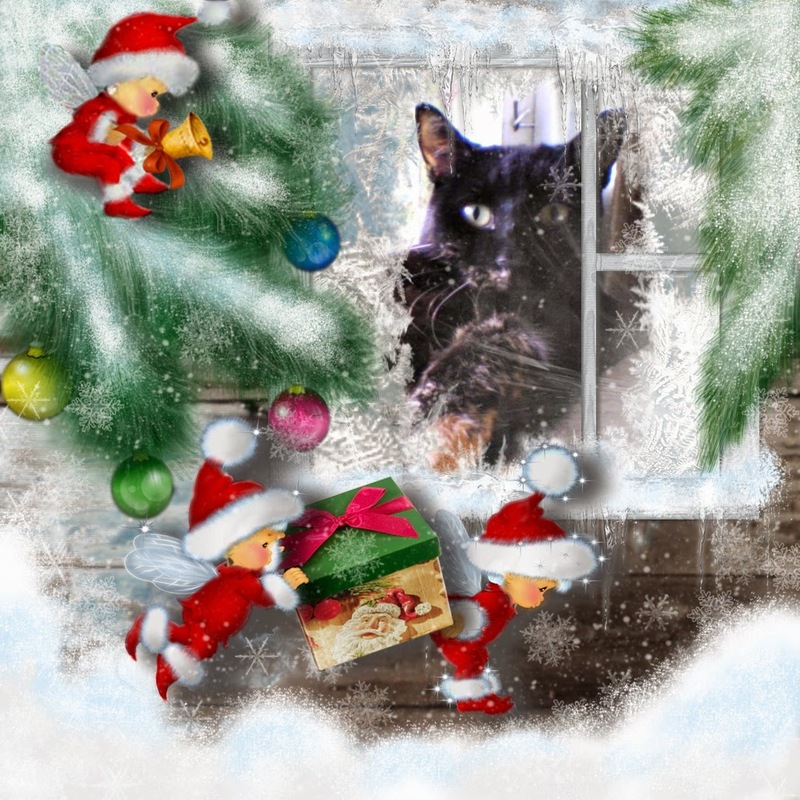 Truffles: Mommy says that Santa Claws is coming tonight, so I'm watching to make sure he arrives safely. Do you think he'll like the plate of cookies that I'm leaving out for him? 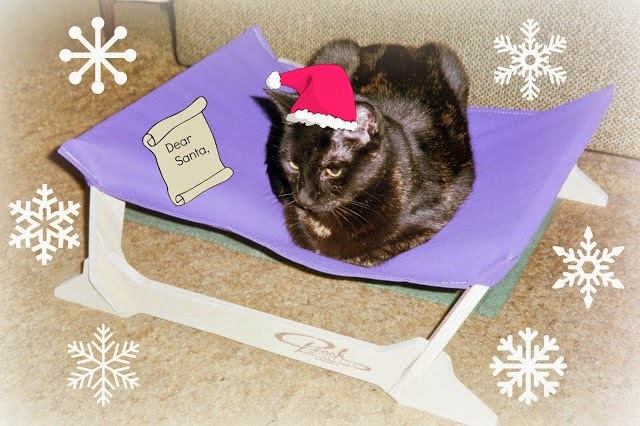 Earlier this week I looked over to find Truffles lying in her lounger, working hard on her letter to Santa. When she was done she asked me to proof-read it, and it was so adorable that I asked her permission to post it here. I'm sure you know that I've been a very good girl this year. My Mommy has had a really hard year while dealing with her parents' health issues, and on more than one occasion she has said that she doesn't know what she would do without me. But I'm not writing to you to ask for anything. Honestly, Santa, I can't think of a single thing I need. I'm actually writing to you in hopes of making your job a little easier, since I'm sure you don't have the time to scour stores for the latest in kitty treats! 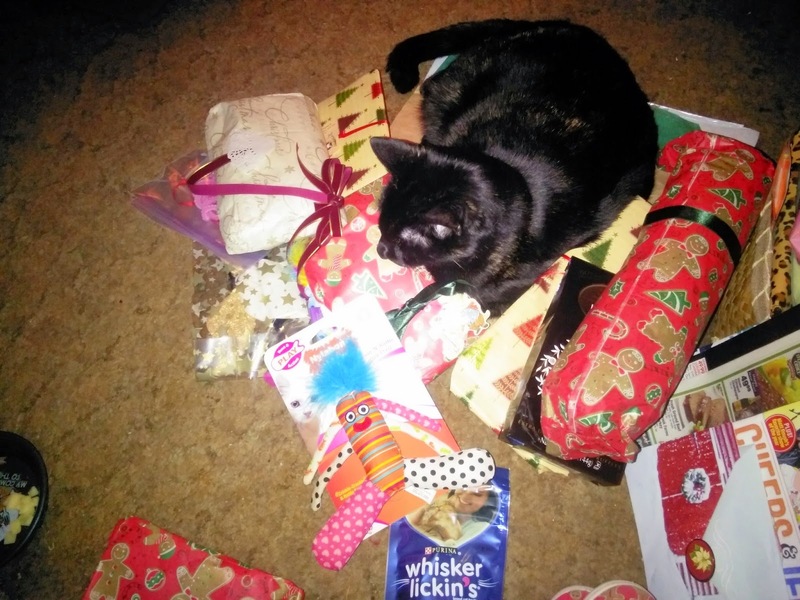 Since I'm a total treat junkie and a kitty blogger who gets to try out lots of new products, let me tell you about the purr-fect stocking stuffer treats that will have cats purring with excitement! Made in the U.S.A. with wholesome ingredients and natural antioxidants, Delightibles' center-filled treats are available in six tasty flavors including: Chicken, Turkey, Tuna, Salmon, Beef and Dairy. (I got to try out the yummy dairy and beef varieties.) 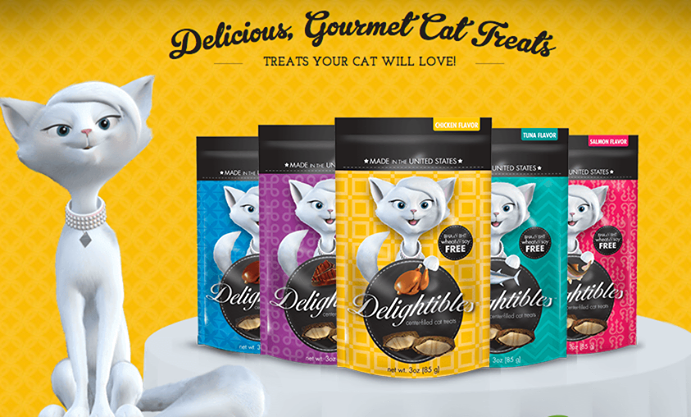 Each treat is just the right size and texture, with a crispy outside shell and soft creamy center that cats find irresistible. 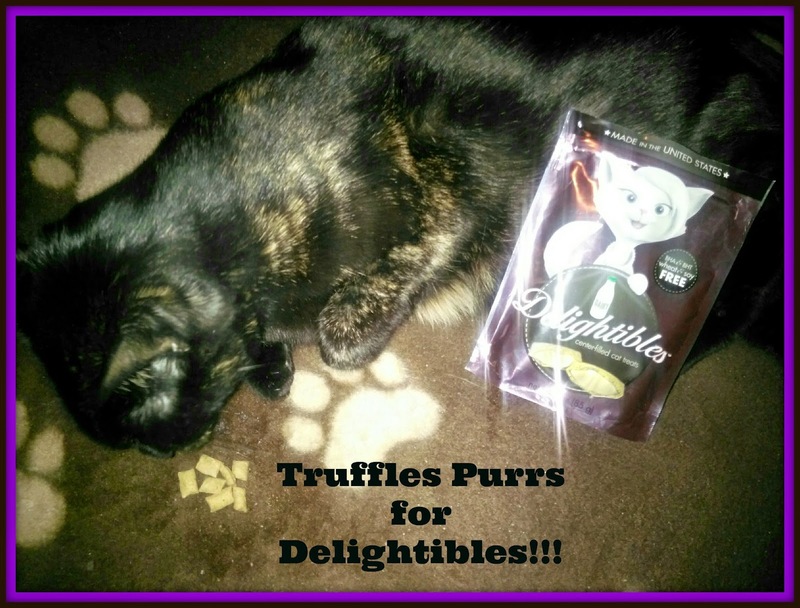 Delightibles are free of artificial preservatives like BHA and BHT, and also free of wheat and soy offering peace of mind for cat owners who have cats with allergies or food sensitivities. Even better, these treats are easy peasy to find! They are available exclusively at Walmart and Walmart Canada stores. Mommy says that Wally Worlds are everywhere, so all you need to do is send one of your elves out to the store! Giveaway: Guess what everybody? 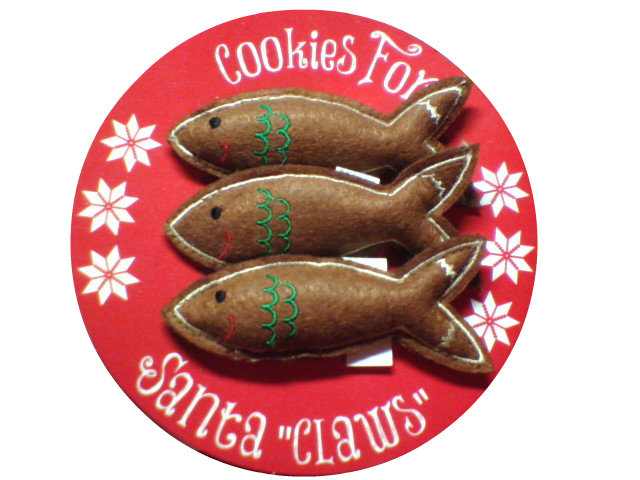 Just in case Santa's elves find the store shelves empty, you still have a chance to try Delightibles treats for yourself! We are giving away 12 pouches (2 of each flavor) to one lucky winner located in the US!!! 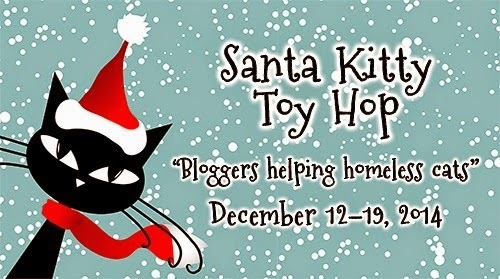 Simply leave a comment with your email address by noon eastern on Wednesday, December 31st. 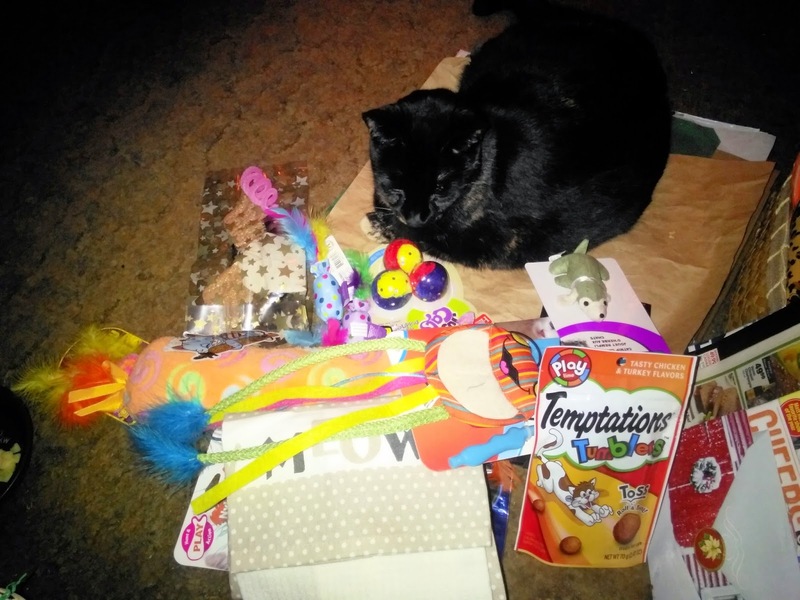 Last month, as part of the BlogPaws Pet Blogger Influencer Group, myself and many others filled out a survey answering questions about our holiday shopping trends for our pets. The results are in and have been compiled in a festive infographic. Check it out and then I'll tell you more about our responses below. * Online vs. in store shopping. This year, I've done both. 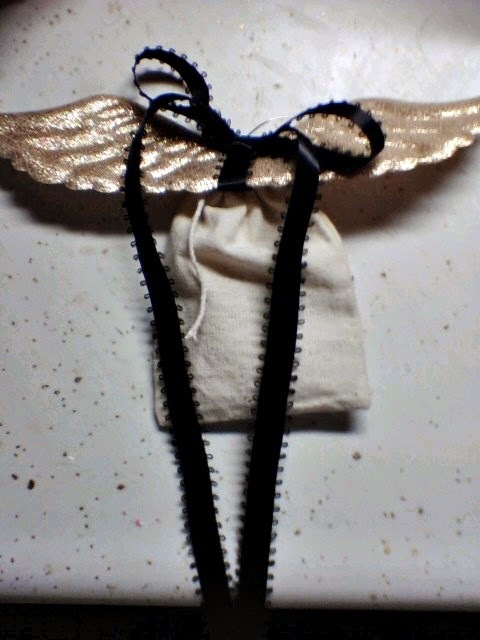 I've picked up a few things for Truffles in local stores, and other items I've purchased from Amazon and Etsy. * Annual budget. I come in at under $50. I'm pretty frugal and Truffles already has so, so much. * Pet blogs. 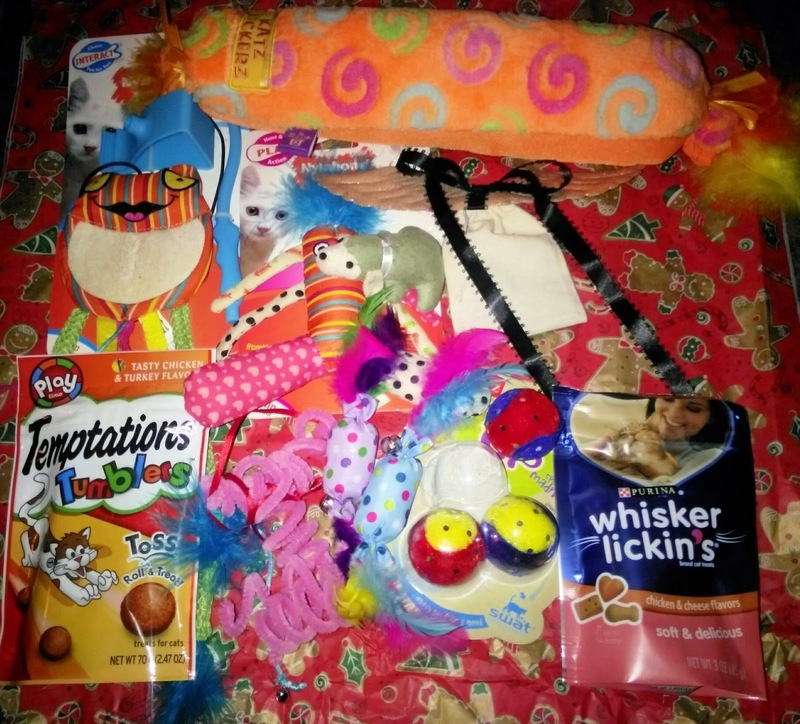 I definitely use other pet blogs as a gift resource. 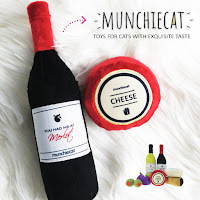 They are how I discovered Petmate's line of Jackson Galaxy toys, and the Gingerbread House Cat Scratchers available at Target. * Holiday cards. 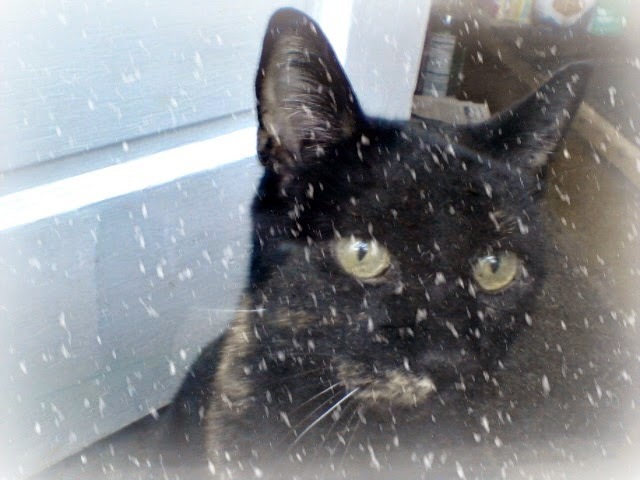 This year Truffles starred in her very first Christmas card! * Gift guides. 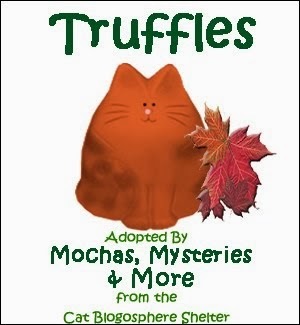 Truffles produced her first annual list of favorite treats of the year that would be purr-fect for stocking stuffers. 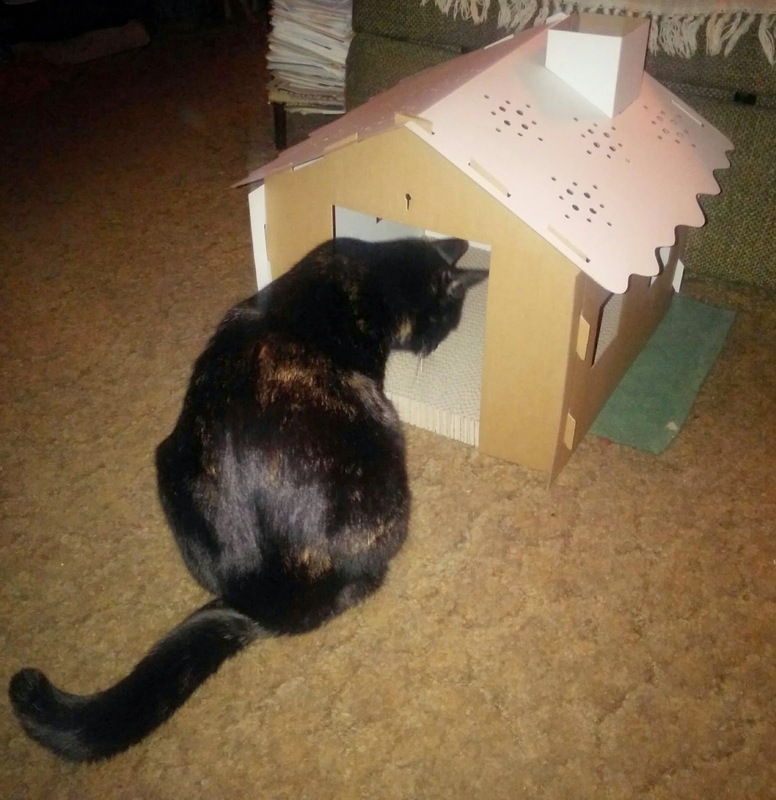 I wrote a Tortie Shorties: Christmas Edition post highlighting a few of my favorite new Christmas books. * Holiday attire photos. 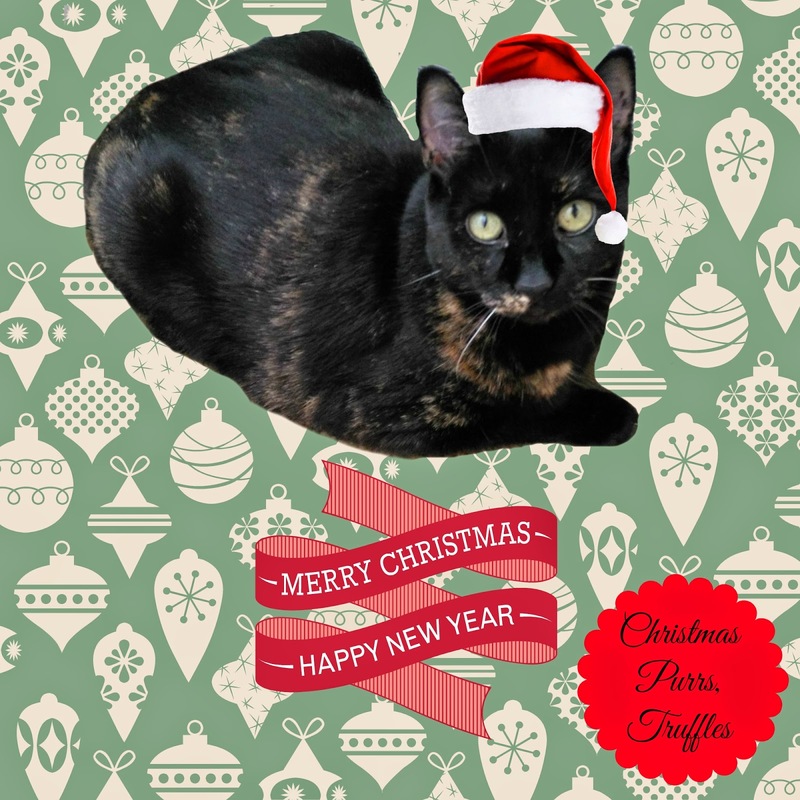 I went all out dressing Truffles up for Halloween, so I went easy on her for Christmas and depended on PicMonkey for her festive attire. Tell us about your pet pampering spending this year! This has definitely *not* been the week before Christmas that I was hoping for. I've mentioned this on Facebook, but not here on the blog: my dad had another stroke on Wednesday. Like the one he had in March of 2013, thankfully it was small, but certainly not any less scary. Both of my parents now have had medical emergencies in the past 6 months and it has been completely overwhelming and sobering. 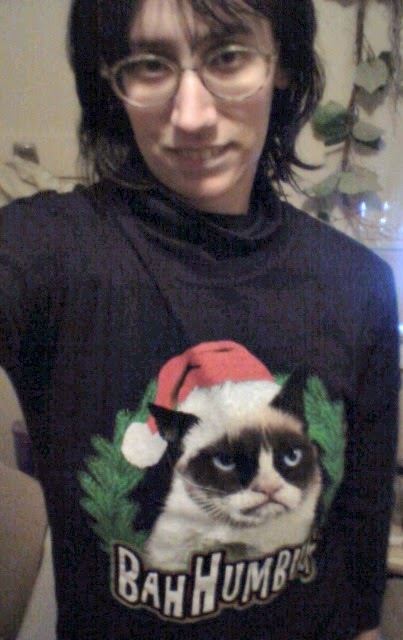 For our entry in this week's Sunday Selfies blog hop hosted by The Cat on My Head, I decided to model my new Grumpy Cat Christmas t-shirt. I bought it because of my love for all things Grumpy Cat and all things Dickens' Christmas Carol, but it has ended up somewhat reflecting my feelings following the events of the past week. One of Truffles' favorite things to do is look out the window and survey her domain. It looks like her eyes were met with quite a surprise on this particular day!